(WASHINGTON, D.C. – April 23, 2018) The National Italian American Foundation (NIAF) and the Italian Sons and Daughters of America (ISDA) announce the 2018 grant selections for The Russo Brothers Italian American Film Forum. Spearheaded by directors Anthony and Joe Russo, the Film Forum is an initiative to fund films depicting and exploring the Italian American experience for the benefit of future generations. Each of the eight applicants listed below have been selected to receive $8,000 to fund their film project. These grant recipients present powerful voices, eliciting an array of truly dynamic and timely themes that explore the past, present and future of the Italian American community. Andrea Cordaro, whose film focuses on food as a connector between ourselves and our ancestors, specifically through the history, spiritual significance and evolution of the cannoli. Anton Evangelista, whose film “Il Signor Jackson” chronicles the life and contributions of a remarkable African American with an Italian spirit. Geannine Guilyard, whose film “Lucania” tells the story of early 20th-century Italian immigrants, the conditions they fled and what the land they left has become today. Nina Ignaczak, whose film “Speaking Sicilianu” relays the predicament of Sicilians and Sicilian Americans who find themselves in a changing world, struggling to reconcile their rich ethnic history with their current reality of assimilation. Laura Magone, whose film “Two Brothers from Monessen” tells the quintessential Italian American success story of two brothers born to immigrant parents who could not read or write, but who still managed to teach the life lessons that would help their sons excel and eventually make extraordinary contributions to our country. 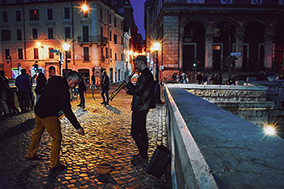 Luca Martera, whose film “In the Mood in Our Own Way” explores the history and influence that Italians and Italian Americans have had on music in the United States for the past 200 years. Tim Moriarty, whose film celebrates the life of Fr. Vincent Capodanno, a Marine Chaplain during the Vietnam War, who was posthumously awarded the Medal of Honor for bravery, and whose cause is currently under investigation by the Vatican for Sainthood. Richard Vetere, whose film contemplates whether Italian American influence in American culture is coming to an end as its population becomes assimilated; or, whether that influence has become more relevant now than ever. The grant recipients will submit their completed films, and three finalists will be chosen and invited to the NIAF 43rd Anniversary Gala, where the winning film will be announced. The Russo Brothers are grateful to the National Italian American Foundation and the Italian Sons and Daughters of America for their support in this endeavor. Furthermore, they kindly thank all the applicants for their submissions and look forward to reading more in 2019! 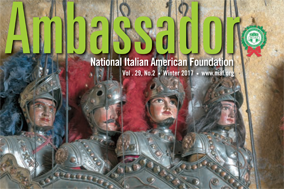 The National Italian American Foundation (NIAF) is a non-profit, non-partisan organization dedicated to preserving, promoting and protecting the Italian American heritage and culture. 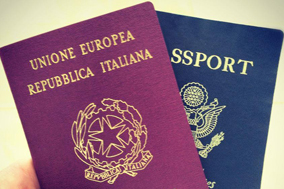 Based in Washington, D.C., it is the major advocate for nearly 25 million Italian Americans, the nation’s fifth largest ethnic group. To learn more about the Foundation and become a member, please visit www.niaf.org. For 87 years, the Italian Sons and Daughters of America (ISDA) has kept a strong sense of community alive and thriving to become one of the largest and most financially successful Italian American organizations in the country. 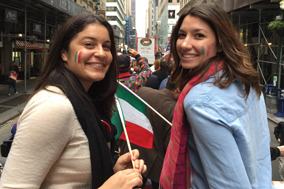 The ISDA unites Italian Americans across states nationwide to celebrate our culture and preserve the traditions our ancestors brought with them from Italy. To learn more about the ISDA and become a member, please visit www.orderisda.org.